We saw a few foldable smartphones at the recent MWC in Barcelona. The common ground they shared was that they folded down to an approximation of a current mainstream smartphone with a 6-inch or so diagonal. We saw devices like this from Samsung, Huawei, and Oppo. However, the Moto RAZR-like foldable, with a very different approach to the foldable brief, was a no-show at MWC 2019 – even though Motorola asserts it will launch alongside those rivals in the summer. 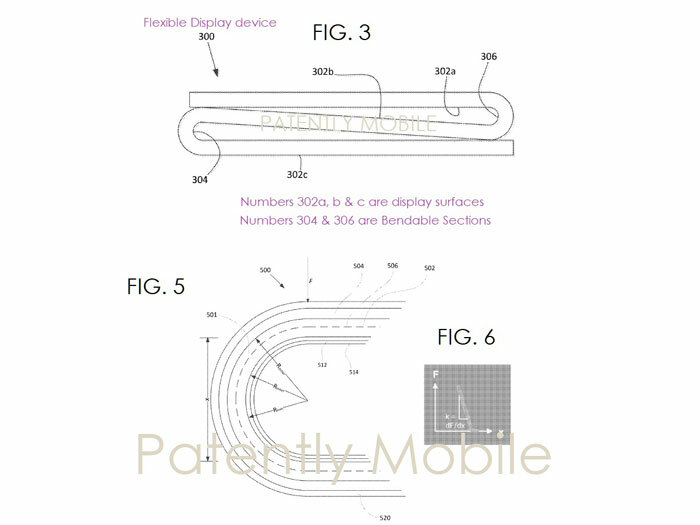 A recently unearthed patent reveals that Google may be going to follow Moto with more pocketable foldable designs. Patently Mobile is again the source of this news indication. Google actually has two concepts on show within the patent document that has been unearthed. First of all there is a wallet-style folding phone which seems to be just a modern take on the clamshell feature phone design. In operation this phone would present a decent sized screen, which could then be folded for portability and to protect the screen from damage. I can't see any indication provided of a smaller external screen which was a feature of later clamshell feature phones like the RAZR and others, but one might be implemented. Another Google idea, pictured below, uses a Z-fold concept but it isn't clear how this would work, as far as which surfaces offer screens etc. A focus on this particular design seems to be the practical way the folds work. Of course a patent application or two does not a shipping product make. Remember, Google has gone much further through development cycles and abandoned plans (Google Glass, Project Ara) for mass produced shipping products. Waiting until a more aesthetically pleasing design becomes widely available… preferably with RGB, heh heh!! This flexible screen will be with scratches in one week.